3) EvangeAgain sharers of the Gospel should also agree with the tracks / literature available here. There is no way to monitor who wears the shirts so we rely on you who love to tell people about Jesus and the Kingdom of Heaven to search the scriptures daily to confirm the writings on this web site are sound doctrine. You can get directly from shirt printer with minimum qty. 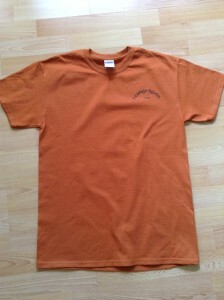 order 12 shirts. 12 X 12 each with 16 dollars S & H which will total 160$ total delivered to continental U.S.A. E-Mail Kevin ; colorfxtshirts at nwi.net to order, not sure about taxable if from state of WA or not. While we can, we will be the middle man so you can get qty. 6 at a time. This will help you to not have to buy so many and us also a little to maintain the web site. You can buy qty. 6 for 15 dollars each plus 10 dollar shipping to any destination inside continental U.S.A. which will total 100$. 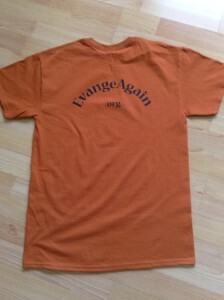 E-mail request to shirts at evangeagain .org , will need PayPal account. Thank you for your support , let the Lord be magnified!